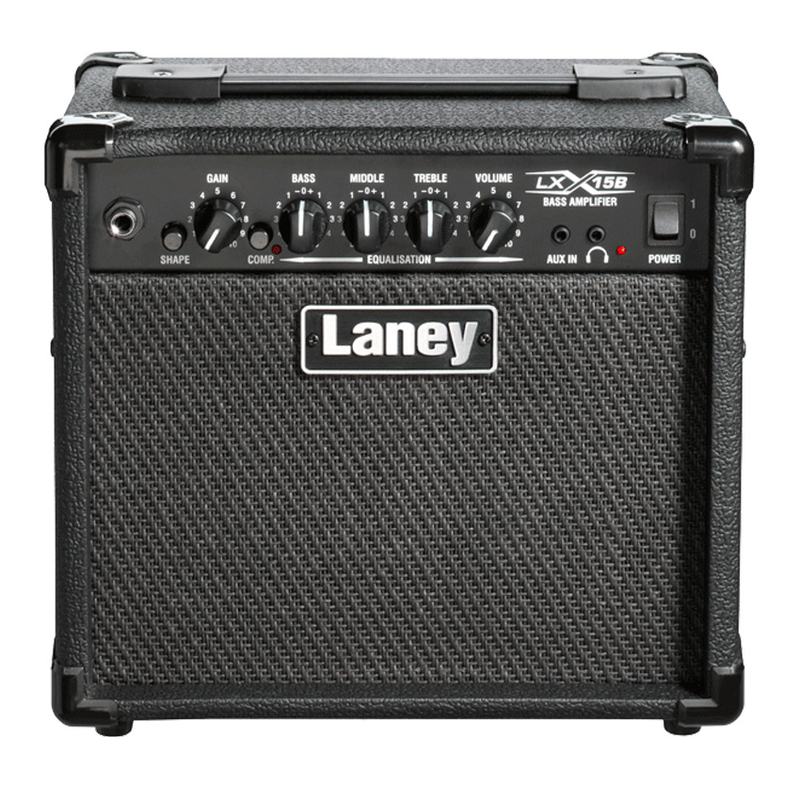 The LX15B offers big bass tones right out the box -- designed to give you sonic performance bigger than its small size! The LX15B is a simple-to-use and compact amplifier combo designed specifically for bass guitar. It delivers punchy bass tone with ease. LX15B's instrument channel features a 3 band EQ for tone shaping plus a Shape switch -- this provides a great sounding "go to" setting from a single button press. A pre-selected compressor setting can be added with a simple switch. This adds punch to the original bass sound. The mini-jack AUX input, allows for connection of a playback device such as MP3/ipod/CD for jamming along to songs or backing tracks, plus there is a headphone socket for doing so quietly --a great feature for private practice or late night sessions. The LX15B's 15W RMS power stage is couple to a pair of custom-designed 5" woofers giving broad sound dispersion and impressive output level. For all styles of music from jazz, funk, pop, fusion, blues, classic rock, to metal, quality brands Ibanez, Hughes and Kettner, Hiwatt, and Ashton provide the sound, quality and tone you’re looking for in a bass guitar combo. For home, practice room, stage, or studio. Size options, tilt back designs, and power options from the likes of 15 Watts to 500 Watts, Musicworks can help get you out practicing, performing, or recording.